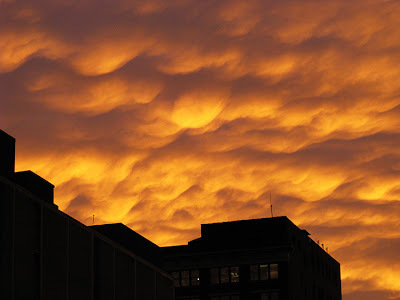 I saw the very same clouds at sunset last week. It was a beautiful sky. It is one of the pleasures of winter's return, the beautiful gradients of gray light in the clouds. But rarely is it so beautifully painted by the sun as that day.